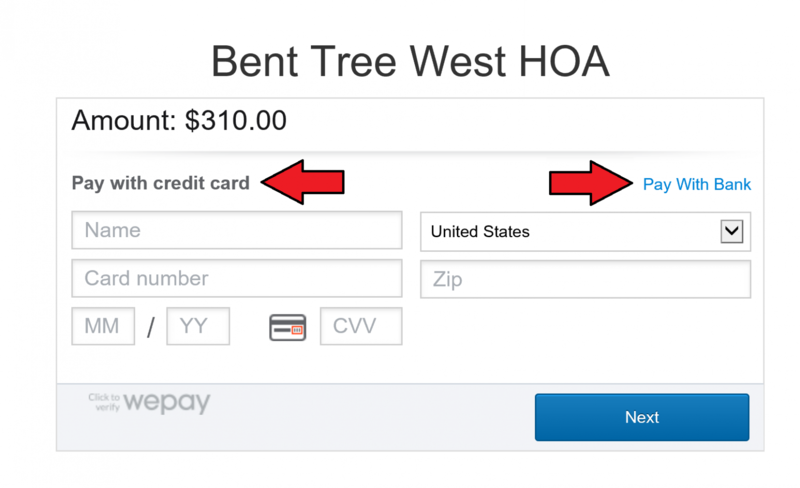 We now offer the option to pay your HOA dues online using a credit card or bank account! 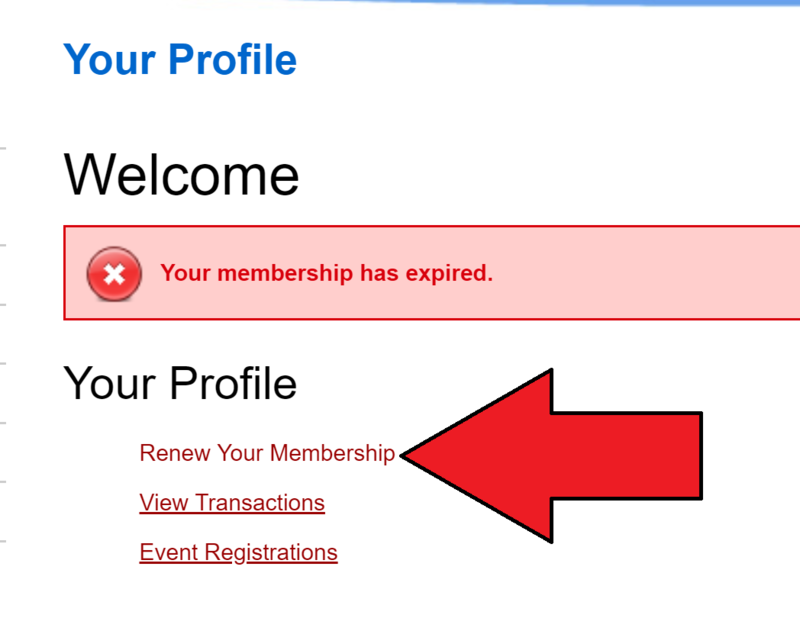 The steps to pay are outlined below..
3) Click "Renew Your Membership"
5) Select any additional donation amounts. 6) This will generate an invoice for payment. 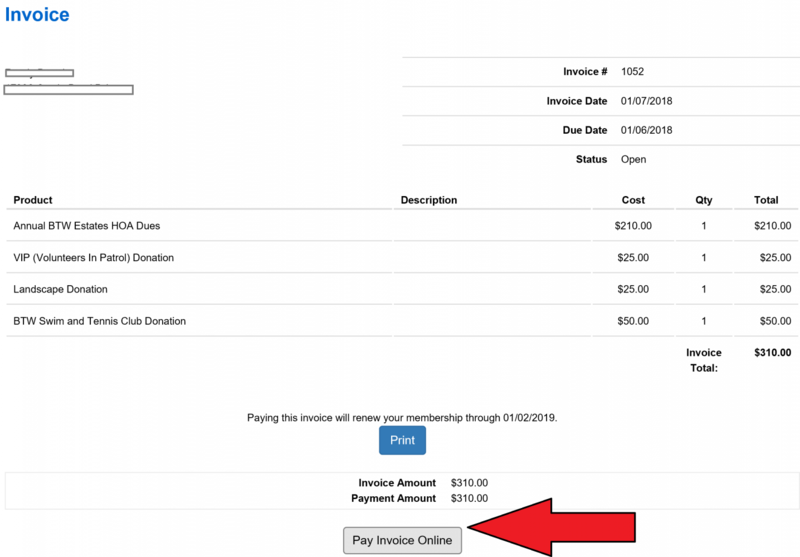 Print if you like and then proceed by clicking the "Pay Invoice Online" button. 7) Select an option to pay by credit card or Bank, fill in the details and click "Next". 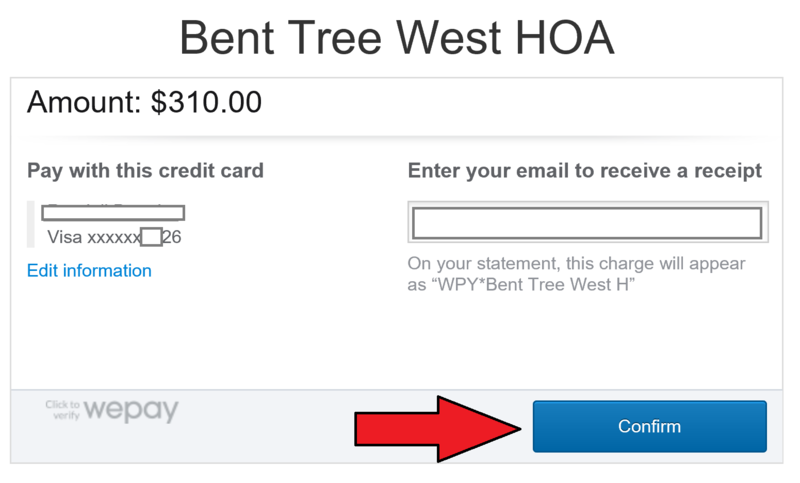 8) Enter your email for a receipt and click "Confirm". 9) All done! This page your confirms a successful payment!